shaping council's response to flood and storm tide emergencies. Council recognises that flood hazard is a risk for the community as a whole and it is appropriate that the community guide the strategy to ensure community needs are addressed. Community engagement during the course of the project will be used to guide the development of the strategy. Towards a Flood Resilient Townsville outlines council's strategy for management of the Townsville floodplain. Our greatest challenges rest with the older portions of Townsville constructed prior to modern planning and engineering standards. Towards a Flood Resilient Townsville recognises that managing flooding requires a coordinated approach between government, industry and the community. Together we can ensure the resilience of Townsville to future flood events. Council completed the City Wide Flood Constraints Project in 2014. The City Wide Flood Constraints Project developed flood mapping across the city from flood modelling studies. The flood mapping identifies areas likely to be inundated during river and rainfall flood events. The flood mapping also identifies important information about flooding, such as frequency, water depth, flow velocity and flood levels. While the flood mapping goes a long way to building our understanding of flooding, another key element is “How is infrastructure affected by flooding?” As part of the Townsville Floodplain Management Strategy, council, with assistance from the Queensland Government’s Flood Response Subsidy Program, completed the Mobile Mapping Survey to assist in the identification of what infrastructure is affected by flooding. The Mobile Mapping project resulted in a digital 3D model showing the city’s buildings and urban environment. Mapping was undertaken on all business, industrial and residential properties, including apartment complexes and houses within the study area. The 3D model is used to determine building floor levels. With both the flood mapping and an accurate understanding of infrastructure, the risk and cost of flooding across the city will be quantified. Areas of greatest risk will be identified for detailed consideration in subsequent stages of the project. Temporary property protection measures (sand-bagging). Council will be seeking community input on the identification of flood management options for particular areas. Flood management options chosen for particular areas will be evaluated to determine which option is most appropriate with respect to social, economic and environmental considerations. Previously developed flood models will be used to determine the improvement in flooding associated with flood mitigation works. The evaluation of flood management options for given areas will involve reviewing the cost of implementing works against the benefits in terms of reductions of flood damages, reduced potential for loss of life or improved productivity. Options will also be evaluated across multiple cost criteria, including impact on natural ecosystems, impact on urban amenity, flexibility for design to respond to climate change and severity of inundation. The preferred options identified will inform the floodplain management strategy and will be crucial in guiding submissions for funding from other levels of government. A community survey was conducted as part of the Townsville Floodplain Management Strategy to understand community views relevant in guiding the development of the FMS. Guidance towards weighting of criteria likely to be used for evaluating flood migration projects. You can download the Floodplain Management Strategy community survey report. The Townsville Floodplain Management Strategy will also identify improvements in council’s response to Flood and Storm Tide emergencies. Council has already developed the Storm Tide Evacuation guide, which identifies areas where evacuation due to storm tide may be required. Through the Townsville Floodplain Management Strategy Council will also develop an improved understanding of the potential evacuation requirements for riverine and rainfall flooding. 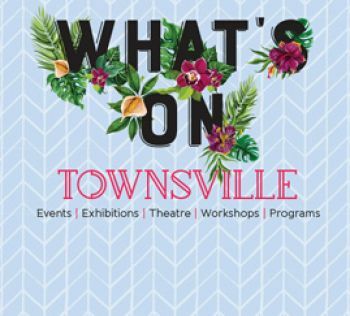 The Townsville Local Disaster Management Group has local responsibility for all aspects of disaster mitigation, prevention, preparedness, and response. Outcomes from the Townsville Floodplain Management Strategy will inform specific sub-plans of the Townsville Local Disaster Management Plan. The Townsville Floodplain Management Strategy is a joint initiative of Townsville City Council and the Queensland Government.